Yarmolenko’s arrival follows that of midfielder Jack Wilshere, goalkeeper Lukasz Fabianski, defenders Issa Diop and Ryan Fredericks. London: West Ham United manager Manuel Pellegrini has continued his overhaul of the squad by signing forward Andriy Yarmolenko on a four-year contract from German top division side Borussia Dortmund, the Premier League club announced on Wednesday. Yarmolenko’s arrival follows that of midfielder Jack Wilshere, goalkeeper Lukasz Fabianski, defenders Issa Diop and Ryan Fredericks as new coach Pellegrini looks to improve upon a disappointing 13th-place finish last season. “We are very happy to welcome Andriy,” West Ham director of football Mario Husillos said on the club’s website. The London side did not disclose the fee for the 28-year-old, although British media reports said it was around 17.5 million pounds ($23.2 million). The 28-year-old enjoyed a stellar spell at Ukraine’s Dynamo Kiev where he scored 137 goals in all competitions since his making his senior debut in May 2008. 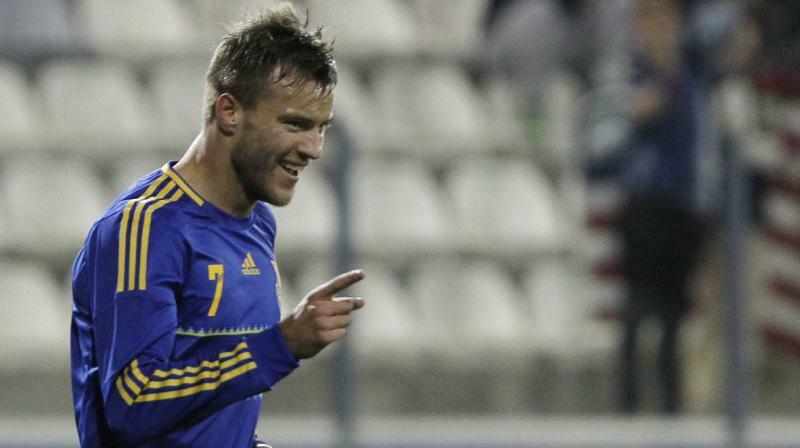 He is the second highest goalscorer for the Ukranian national team after Andriy Shevchenko. West Ham begin the new league campaign with a difficult away trip to Liverpool on Aug. 12.